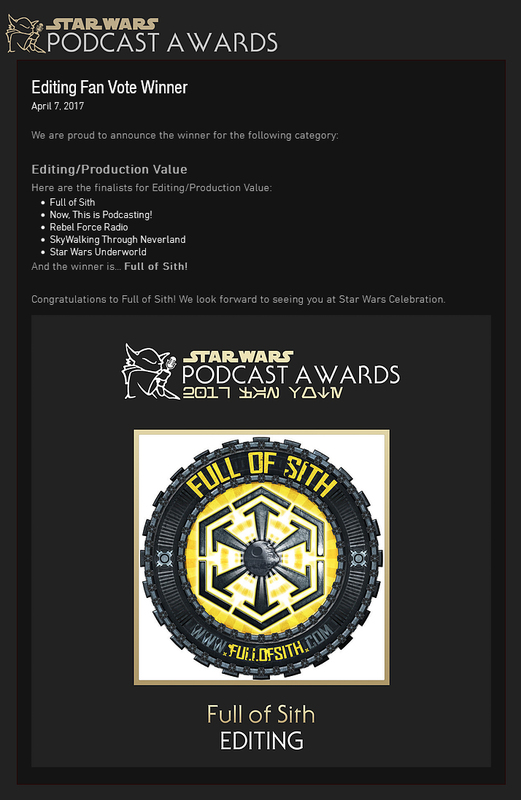 4/7/17 – We are thrilled and honored to share with you that Full Of Sith was just announced as the Star Wars Podcast Awards – 2017 fan vote winner for Editing/Production Value! We extend our great thanks to all of you who have voted for any of the great shows in the Editing category and every category listed this year. We also of course send our gratitude to all the people at the SWPCA for all their hard work!